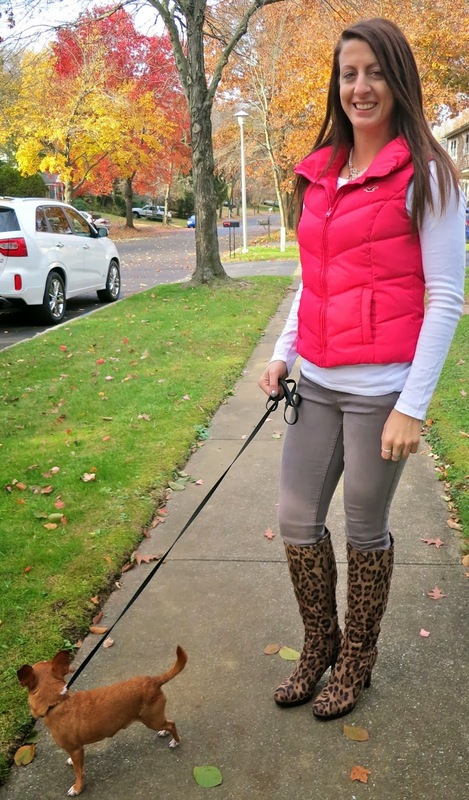 Cold weather never hurt anyone on a nice leisurely stroll with your pup right? But you know what I can't stand? Bundling up then sweating because it's still kind of warmish out. Yes, I said warmish. The sun warms the air so you aren't freezing, but you still need to be bundled. 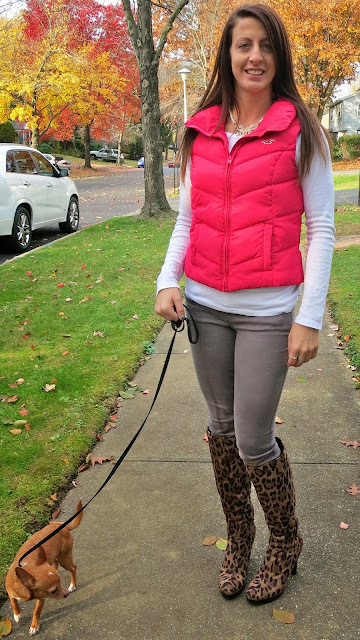 That's when I turn to a long sleeve tee and a vest, like this pink puffer vest from Hollister. It's comfy, it's cute, and it keeps me warm, but let's me breath. And you know what looks great with it? Leopard Print Boots!!!! It adds a pop of style to the somewhat simple look. Vest - Hollister (similar), Shirt - Thrifted, Jeans - Butler's Stash (and here), Boots - Impo, Necklace - Wantable. Stopping by from Love it Link up! I love the color of your vest, it really adds the right pop of color for the outfit! Love your boots! I want them!!! OMG I LOVE those boots. They are so cool!! !